Main premise: 1353, Corniche El-Nil, Shobra, Cairo. medicinal drugs for 267 foreign, local and commercial companies. Define and standardize work processes to reach the fastest best possible quality. to get the best results to keep us on top of the import and trade of pharmaceutical distribution market. working for us at the highest level of competence and experience. Giza, October, Helwan) , the Canal governorates and all the way to Arish in order to meet the needs of pharmacies in these regions. all the way to Salloum to meet the needs of the citizens of pharmaceuticals. preserving the validity of medicines. heart disease, cancer drugs, blood vessels, anti bleeding, diabetic, Asthma and allergy treating drugs. The company provides all hospital needs of the drugs and intensive care medications. The company imports 27 special drugs and their alternatives from foreign companies. The company imports 255 medications, 162 of which are for general use (provided in pharmacies) and 92 of which are for personal use or in hospitals (Limited availability and special uses). The company is the sole agent and distributor for a huge number of international pharmaceutical companies. 24 more that are called street pharmacies. were established and are under the supervision of the Ministry of Health. Those branches supply public hospitals and directorates of Health Affairs and Health Insurance for all governorates of the Country. an elegant way to meet the needs of those in need. 1. 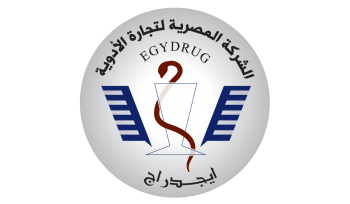 Drug stores: Company has stores in accordance with the highest standards for quality and storage methods that are in conformity with the standard and the technical specifications from the Egyptian Ministry of Health. Also, stores have been equipped with centrally air-conditioned cooling rooms for keeping medicines in accordance with good storage policies and standards (GSP). 2. Dairy Strategic Stores: The dairy stores in Cairo and Alexandria have been developed and renovated with the same standards as already mentioned. In addition there are also machines that measure the temperature and humidity and keep track of them all day with the help of the specialized team according to the latest technical and scientific foundations. 3. Bio stores and Vaccines: Cooling rooms were set up to save Insulin and biomedicines with the same quality, also temperature and humidity measurements that work automatically. Moreover, company stores have been developed to the foundations of the good storage and distribution standards GSP&GDP to keep pace with the latest storage systems of fortified baby formula, Insulin, imported drugs and also Biologics. governmental owned banks and foreign banks. needed requirements taking into account the credit systems from competitors to customers. for the employees to do their jobs at the highest level of performance. The company owns a large fleet of vehicles transporting goods estimated to a number of 665 cars, 124 of them are air-conditioned. addition to other professionals who work in all areas of maintenance for the companies' different branches and institutions. In response to the requirements of the private security company to guard the company's stores and it's scattered branches in all parts of the Country, preparation and training of 166 security personnel working for the administration was done to carry out the surveillance of the highest level of skill in order to preserve the property of the company and what's inside it from medicines and equipment. As well as the implementation of all the requirements of the Occupational Safety and Health, the manual and automatic fire, mechanical alarm and the safety of the work environment inside all aspects of the company. Monitor the implementation of the instructions of security within the company's departments, branches and stores and follow up all the workers in a comprehensive program of data that contains all their data and information. Provide the company's main site with surveillance cameras to follow up with the safety and security of the place and also the regularity of the workflow. The establishment of an information technology center for the company to cover current and future needs. In addition to that, the implementation of the information network that connects all the branches, pharmacies, stores and centers across the country with each other and with the head office to a central database. The company provides a service to meet the customers' requests through the telephone service center throughout the days of the year and working constantly from 8 am till 2 am (midnight) through an integrated team trained and coached on the latest methods of sales development and follow up and resolve the problems of pharmacists and respond to all questions and queries through this toll-free number: 08007777771. After the success of the main center, mainstreaming of the project with 8 centers of across the country is being made. The company is also moving forward in the implementation of development and modernization process to include all areas of the company. Contribute to the development of public policies for the company with the concerned authorities in the framework of the overall policy of the company. Preparation of the plans for the general need of the drugs based on the average sales of different selling agencies. Receive all the needs of the citizens by telephone, by fax and sent by mail from all the provinces/governorates outside Cairo to meet the demands of patients who find it difficult to get some drugs; and that's through the Citizen Service Bureau announced officially to the Ministry of Health. Currently, Updating of the company's branches and pharmacies is being made in accordance with the requirements of the Ministry of Health and methods of good storage and distribution. 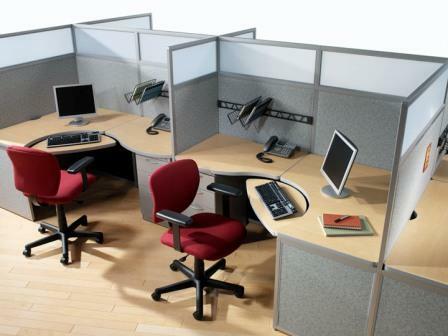 Improving the work environment for employees in the company. Raise the efficiency of workers through an effective plan and continuous training. Fully automating all the company's aspects to facilitate access to data and information accurately to assist the senior management of the company to take the right decision at the right time. Main premise and mailing address: 1353, Corniche El-Nil, Shobra, Cairo.